Our SmartTips Successful Teams Collection contains 11 videos that cover the key techniques to making a team work, like dealing with team conflict, building accountability into the team, ways to unify your team and more. An accountable team is a group of people who take responsibility for their own goals and outcomes, and who acknowledge their own mistakes. 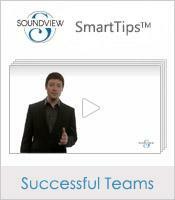 In this SmartTips video, we provide the six steps for building a strong, accountable team. Some individuals may perform exceptionally well on their own, but when they're put in a team environment, everything falls apart. 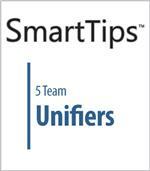 In this SmartTips video, we'll discuss five team unifiers. Have you been asked to participate on an Ad Hoc Team? Are you clear about what will be expected of you being on this team? 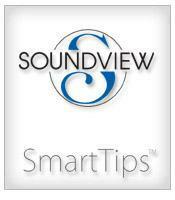 Use this SmartTips video to help you contribute the most that you can to the group and showcase your skills. A team is only as good as its weakest member. Ensure that everyone is doing their fair share of work by using this SmartTips video to help guide you through a situation in which one of your coworkers is slacking off. Humor used in the workplace can help to lighten the mood, but when jokes go too far they can create an uncomfortable environment. This SmartTips video helps you to distinguish between appropriate and inappropriate humor amongst colleagues and coworkers. Sexual harassment can be a tricky subject. It is illegal and can have drastic results in the workplace. But what constitutes sexual harassment? This SmartTips video helps you to know what it is, how to avoid it, and how to report it if it's happening to you. When dealt with in the right way, conflict at work can be beneficial. When conflict starts getting out of hand, this SmartTips video can help you to handle the disagreement in a way that will provide the most favorable outcome. Complaints over social media can be very public and very damaging unless the situation is handled with care. Use this SmartTips video to help smooth over any rough edges between you and your customers and wow them with your solutions.